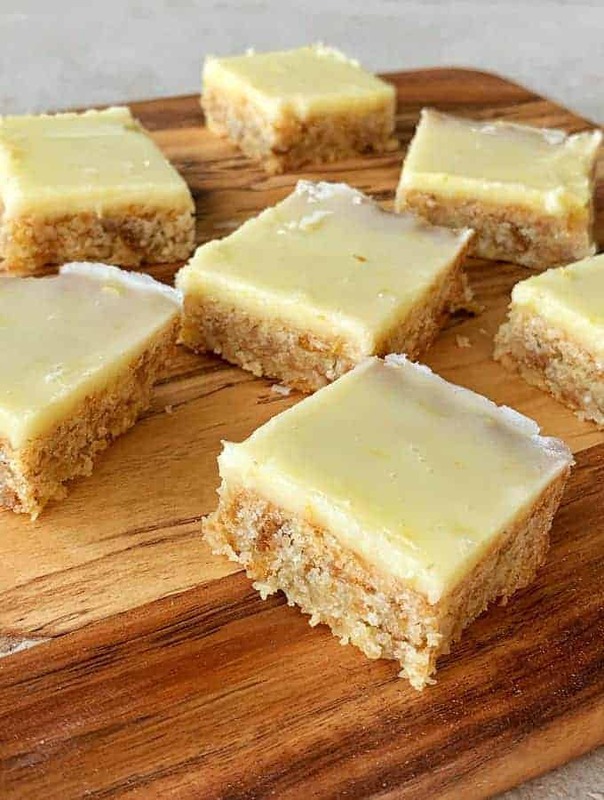 This lemon weetbix slice has a chewy coconut and weetbix base which goes so well with the delicious lemon icing. My most popular recipe ever is chocolate weetbix slice, it has had over 2 million video views on Facebook. So I thought it was about time that I tried out some other variations on this Kiwi classic. 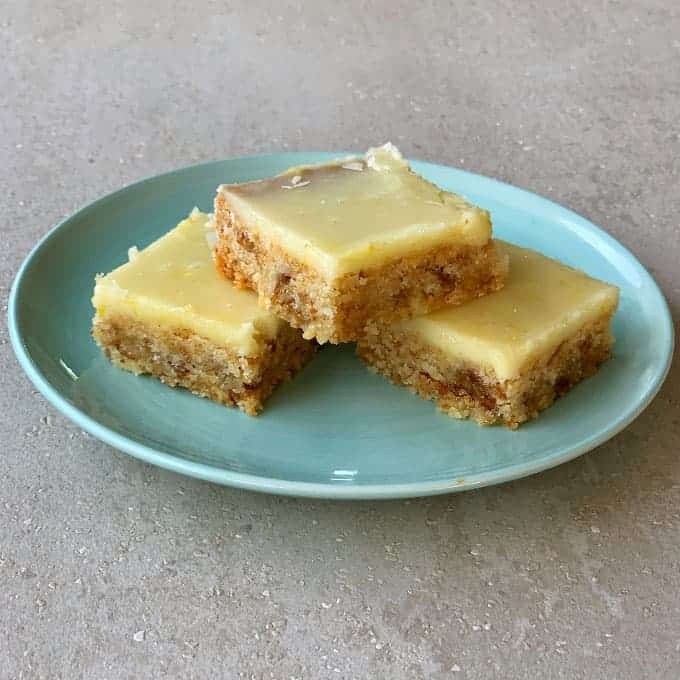 I was so happy with the way this lemon weetbix slice turned out, I am sure I will be making it over and over again in the future. 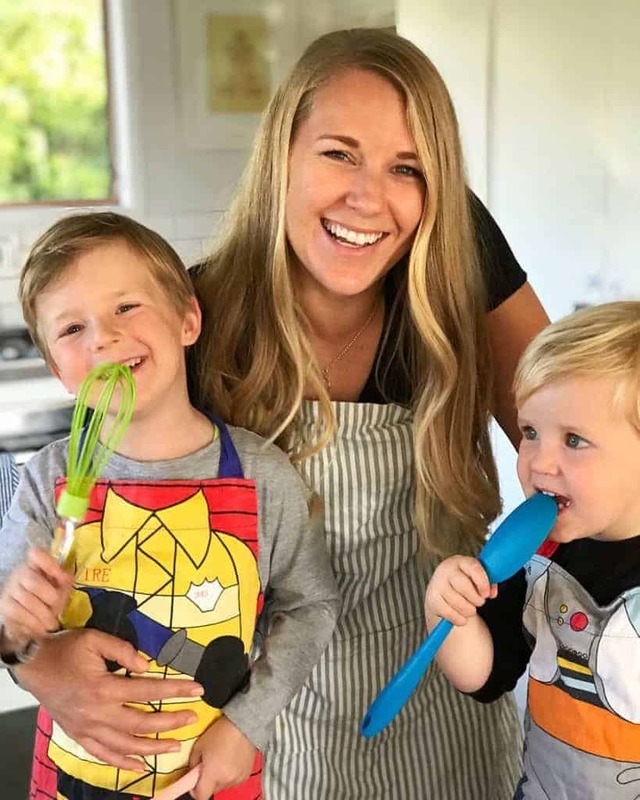 Everyone loves a good slice recipe, it is so satisfying to have delicious baking in your tins. Then you are always ready with a sweet treat if someone wants to pop in for a cuppa. 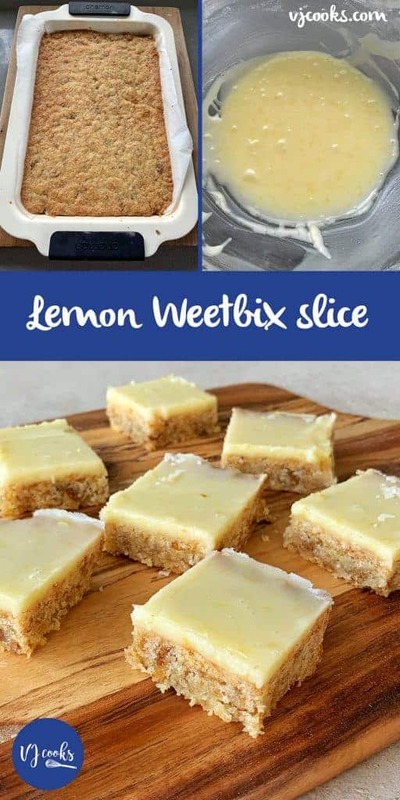 The base of this slice is a simple melt and mix recipe, add melted butter, sugar, weetbix and flour to a large bowl and mix it together. 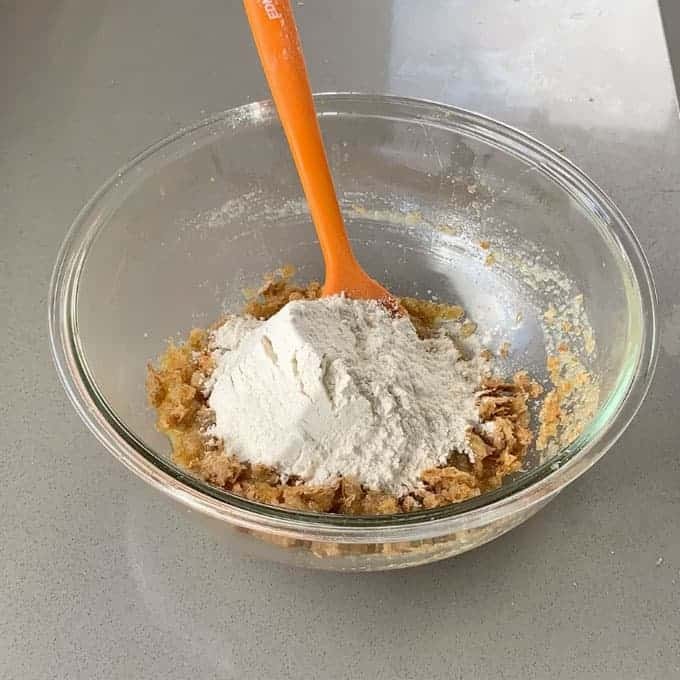 Press this mixture into a lined baking tin and bake for 20 minutes, too easy! Your base is already done and ready for the simple icing. Once your base has cooled slightly you can add the lemon icing. The icing is made by whisking together butter, icing sugar, lemon juice and zest. If it seems too thick you can add a dash of boiling water then keep whisking until you get a good consistency with no lumps. The lemon zest gives the icing a nice tartness which balances so well with the sweet chewy coconut base. 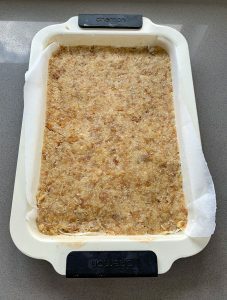 If you like a more crunchy base then bake it for a little longer, remember all ovens are different so it might take a few times for you to get it to the perfect texture. Preheat oven to fanbake 180C. 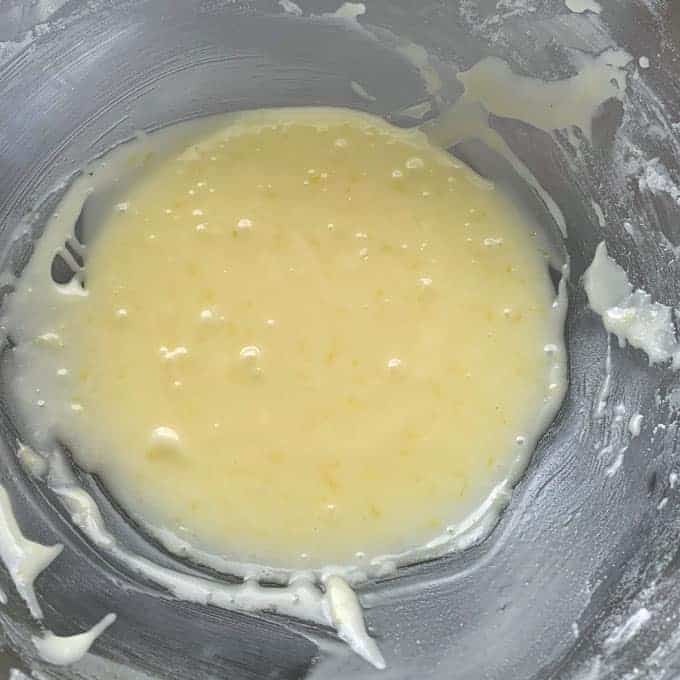 Melt butter in a large microwave proof bowl, add sugar and stir together. 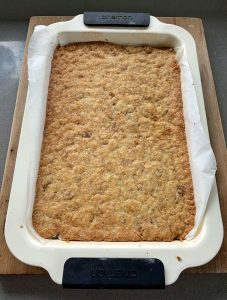 Crush in weetbix, add flour, coconut and baking powder. Mix together. Pour into a lined tray and press down firmly. 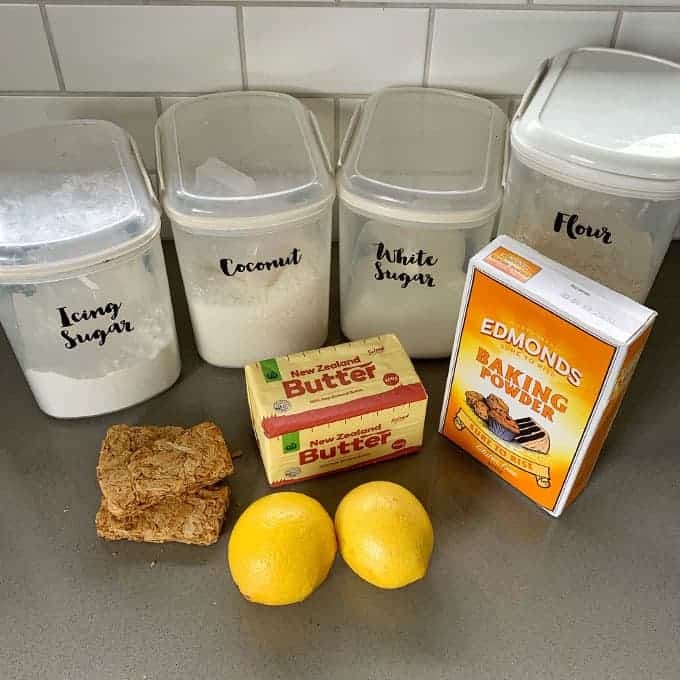 Icing: Mix together icing sugar, butter, lemon juice and zest. Add boiling water if needed to loosen mixture and whisk out any lumps. Ice the slice while it is still warm then chop up once cooled and icing has set. Store in an airtight container in the fridge or in a cool dry place. Passionfruit version: swap the lemon in the icing for the pulp of 3 passionfruit.